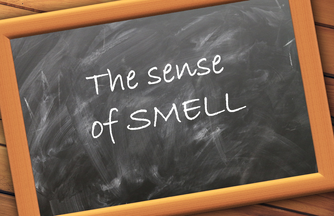 Is our sense of smell important?! It was such a refreshing day today, starting off with a class room full of young high school teenagers. Their teacher had asked me to come and talk about the sense of smell, as they just had finished reading ‘Perfume’ from Patrick Süskind. This book is one of the ‘smelliest’ I have ever read! I still have the smell of that stinky fish market in my nose! I took the opportunity not only to talk about my job as a multisensorial consultant and coach but also about my biography and how I got to that job. I felt I had to take their fear away about ‘the perfect road map’ to one’s career…because mine was not perfect at all! “You live your life forwards but understand it backwards! So, no worries, a failure can be exactly what you needed for your success”. I hope that statement will give them a little bit of brightness on their grey days. I guess the best compliment I could get from teenagers after a speech they had to listen to (!) was “that was cool!” or “It was great to hear about your biography” or even “I knew there was something about it, but I never thought the sense of smell was so important!”. It was so rewarding seeing them leave the classroom with a bright smile (for the weekend! ), while having the conviction that some of them will interact with their sense of smell and the related emotions differently from now on.